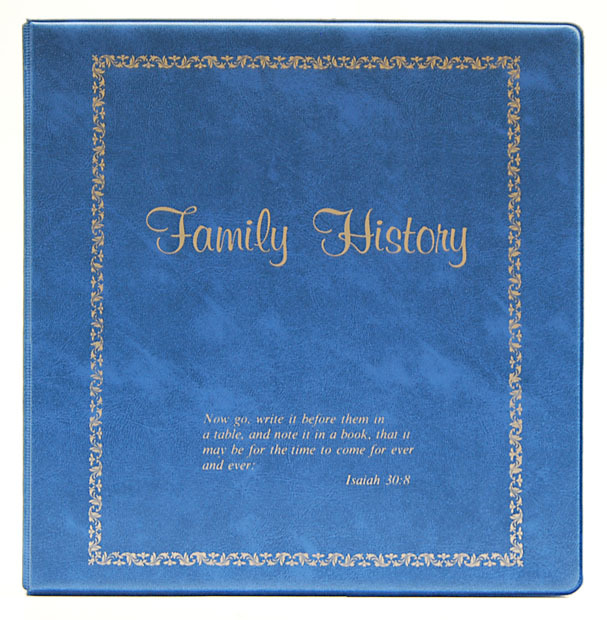 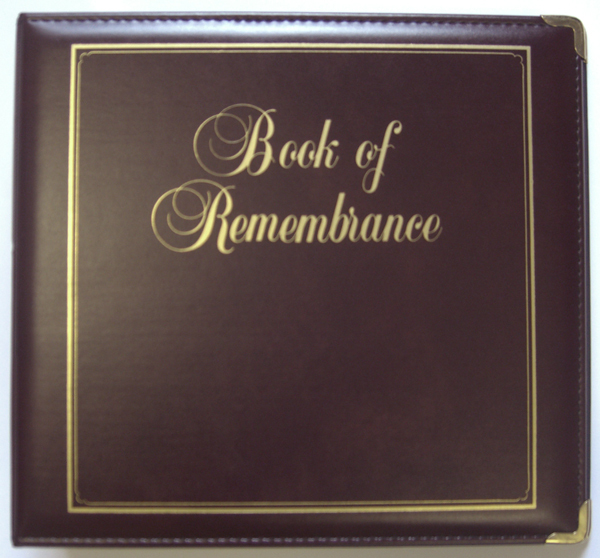 Legal D-ring Book of Remembrance binder – Stevenson Genealogy & Copy Center L.L.C. 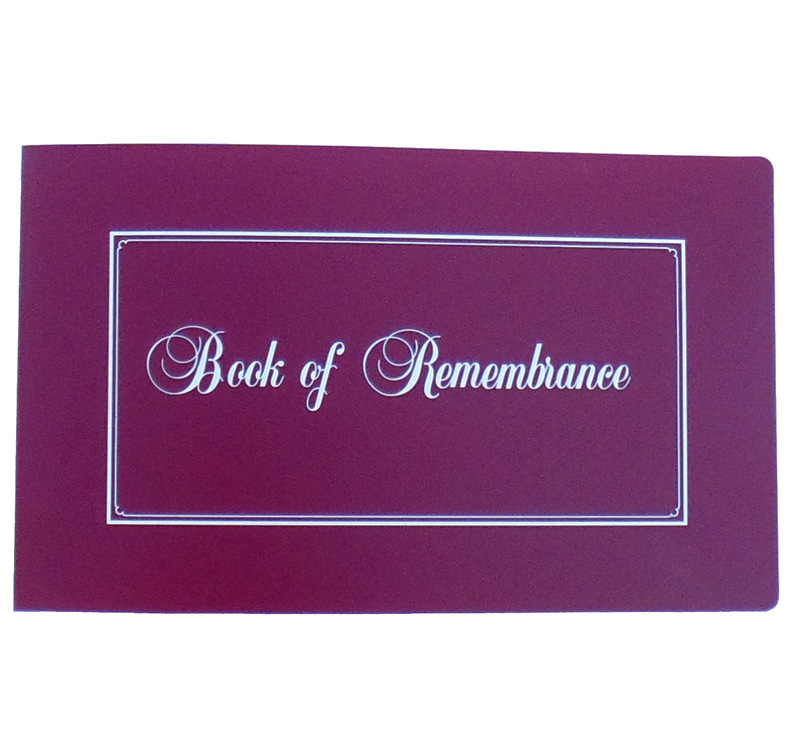 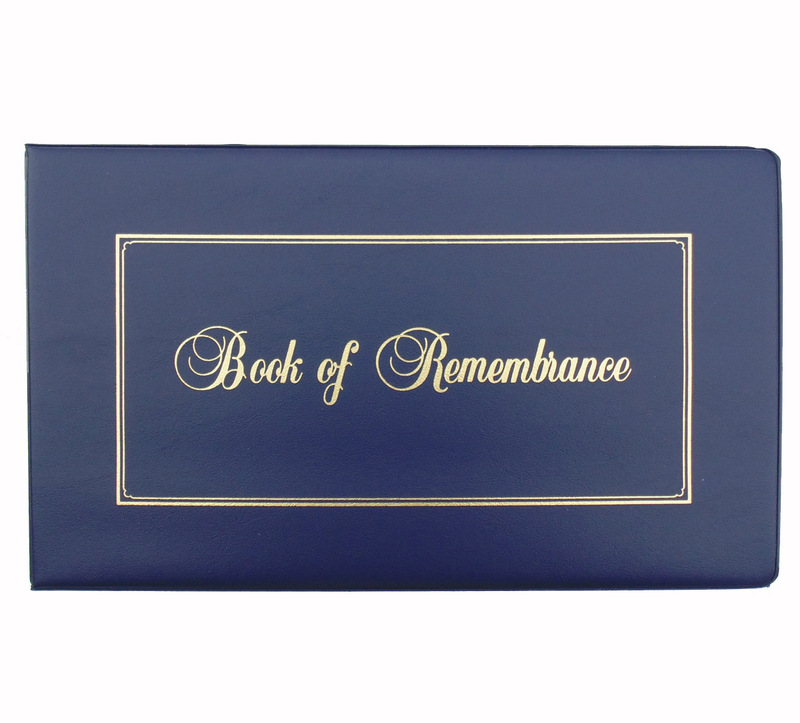 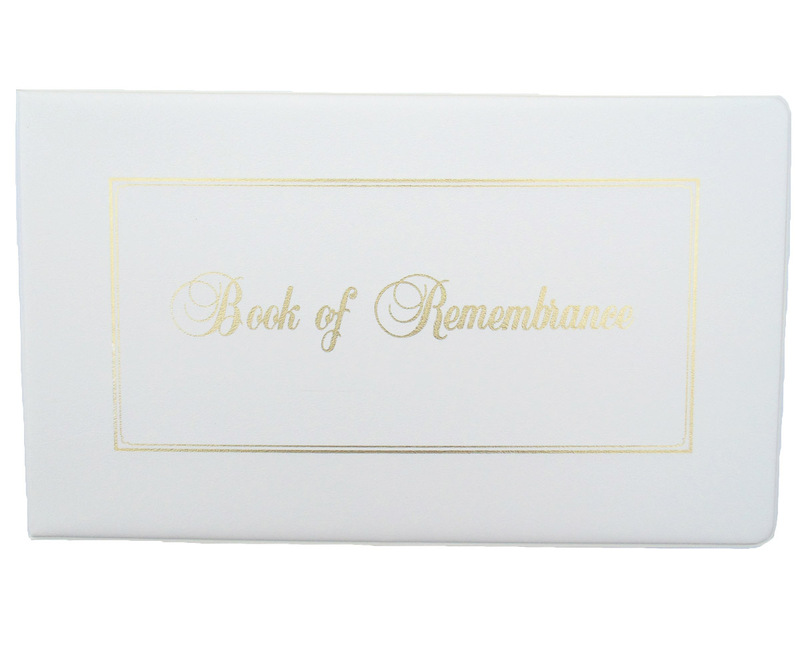 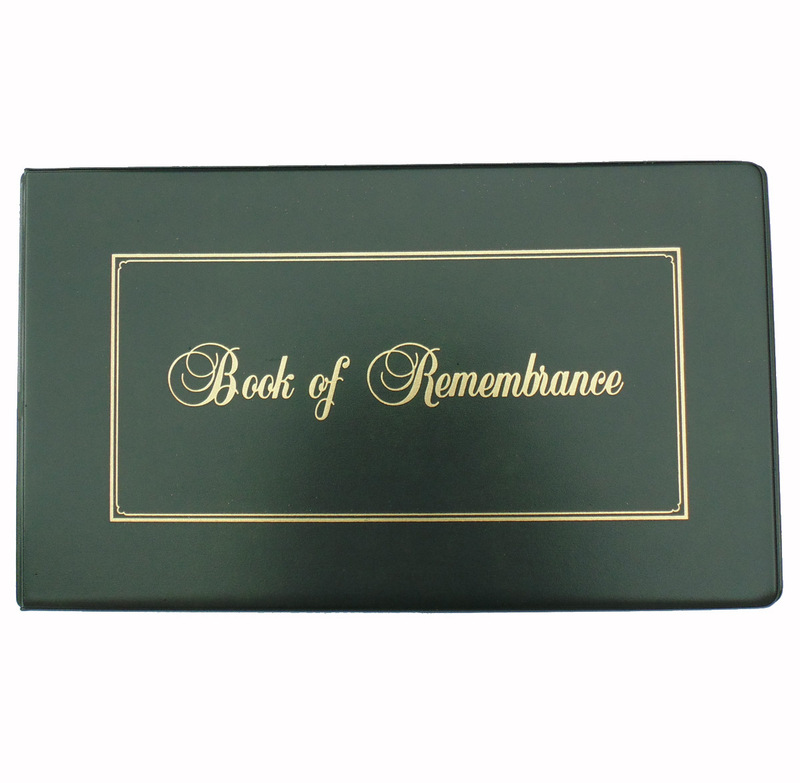 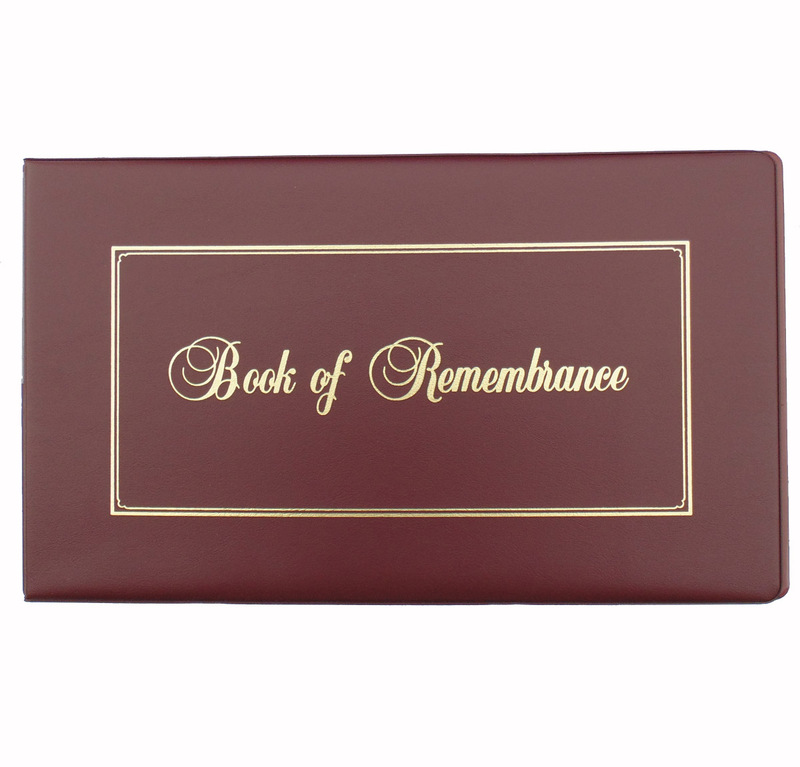 This legal sized D-ring binder is gold foil stamped with the words “Book of Remembrance” across the front. 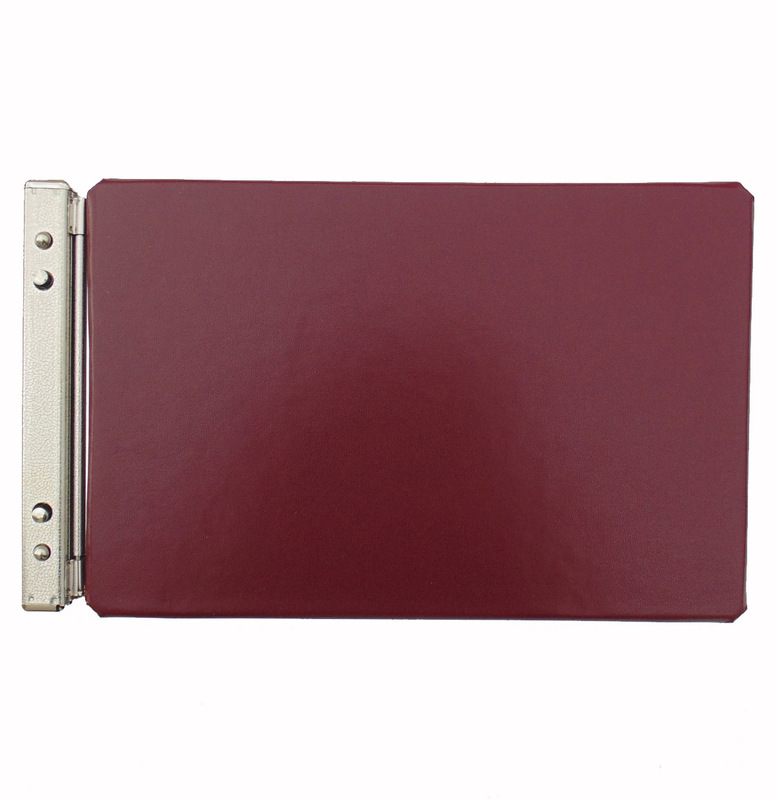 The D shaped rings are 1.5 inches deep and it features a label holder on the spine for easy identification. 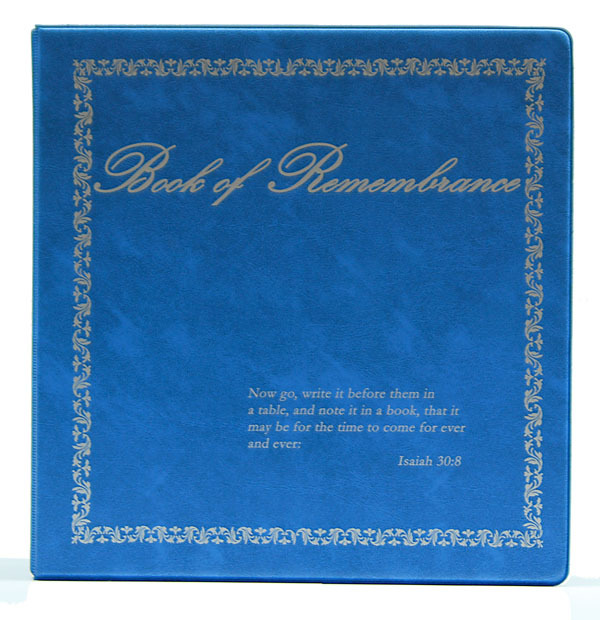 The cover is constructed from reinforced vinyl to prevent cold cracking.